One thing that I have always wanted since my freshman year at Drexel is the addition of more dining locations to the meal plan system. Dragon Dollars, Dining Dollars and meal swipes can be used at certain locations around campus to get food, and, as a freshman, I tried to make the most of this, as did many other students. My main issue, however, was that there were so many places I would go that wouldn’t accept any of the three forms of payment mentioned above. There is a full list of the places that accept Dragon Dollars available on Drexel’s website, and, while there are many popular locations as options, there are many locations that are not included. Though most of the places that are listed are on campus, there are unfortunately a few places that are less accessible, as they are a bit further out, such as HipCityVeg and The Fresh Grocer. I’m unsure of what it takes for Dragon Dollars to become an accepted form of payment at a location, but it would be great if places like Honeygrow and the Ramen Bar were added to the list, as they’re quite popular among students. For students who depend on Drexel’s meal plans as their primary way of paying for meals, it’s important that they have as much variety as possible. 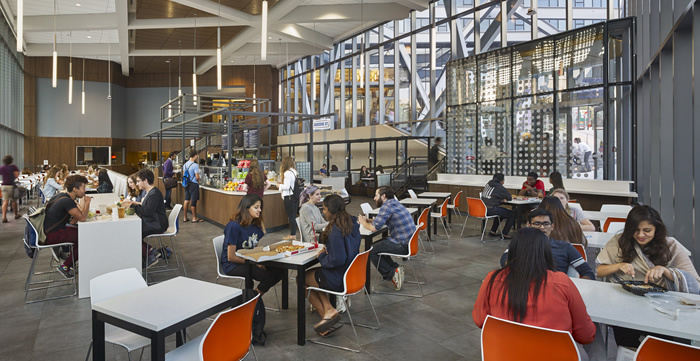 From the list on Drexel’s website, you can see that there is a good bit of variety, but meal swipes are accepted only at the Handschumacher Dining Center, Urban Eatery and The Cafe at the Perelman Center For Jewish Life. It doesn’t seem like a lot, but you do have to keep in mind that the Hans and Urban Eatery both offer an extremely wide variety of foods. I think it would be good to add another option, though, as those two have been the go-to places for using meal swipes. It doesn’t necessarily need to be a place that has the same level of variety as the Hans and Urban Eatery, but with a rising number of students each year, it would be good to add another mainstream dining option to the meal plan. Drexel would have to figure out what locations are the most popular among students, but I think that figuring this out wouldn’t be too great of a task. Adding more locations where students can make use of Drexel’s meal plan system would only have positive effects on the students who use it, and the businesses would benefit from an increase in customers as well. I knew people freshman year who never even used their meal swipes because they didn’t like the Hans or Urban Eatery. This was especially unfortunate because, as freshmen, they were required to have one of Drexel’s meal plans, but they weren’t able to use it to the fullest due to their lack of options. I do think that the Hans and Urban Eatery are satisfactory for most people, which is why only one addition for meal plans is probably necessary, so long as it’s a great one.